You can be part of the experience and dive into the world of Pandora with the TORUK – The First Flight app. There are versions for both iPhone and Android where you can discover what it’s like to become part of the show, and access never-seen-before backstage photos and videos. 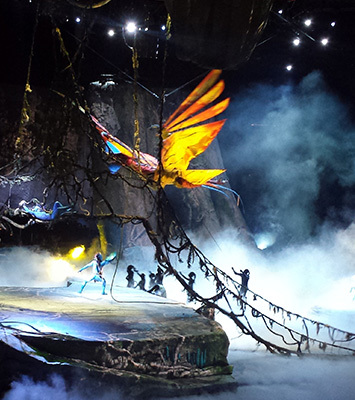 Visit the TORUK – The First Flight website where there are links to interactive stuff and also the smart phone app. 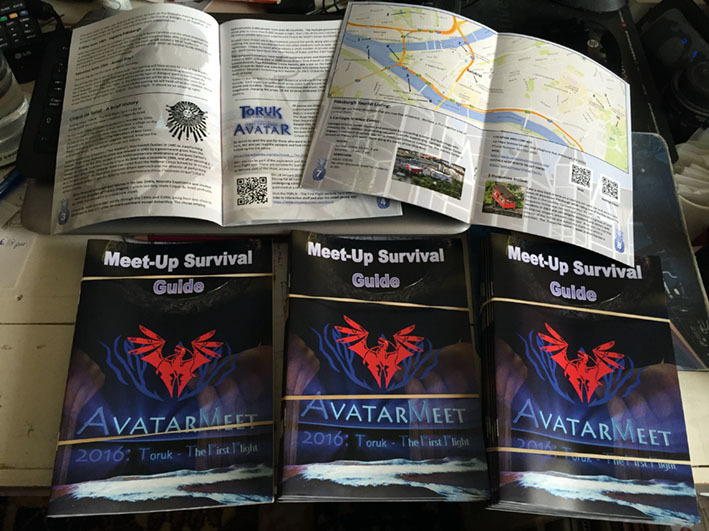 Have you updated your avatarmeet.com profile? If you haven't yet, visit the Roll Call list at AvatarMeet.com to update your status. Keeping your profile up to date allows the planning team to have accurate data for attendance-dependant planning, like how many tickets we need for shows and other things involving accurate numbers. Irayo! 6:30 pm - Meet and mingle evening. Light snacks provided, drinks available from hotel bar. 7:30 pm - We will have a showing of Avatar. Explore Pittsburgh day - We can decide exactly what we would like to do together or in smaller groups online prior to the event, or at the meet and mingle evening. 12:00 pm onwards - Paint Pittsburgh blue! Departure day for our kelutral. As ever, please note that any of the above is subject to change. Some things just may be beyond our control. We are again very grateful to Karyu Pawl who will be giving us another 'txantsan' Na'vi lesson. This time though, he will explore the language used in Toruk - The First Flight. As you will expect, there will be one or two spoilers. However, it will not diminish the amazing spectacle of the show and will help us immerse ourselves even more into the story. If you would like to refresh your Na'vi, visit the LearnNa'vi YouTube Channel where you will find previous lessons for you to view. Irayo nìtxan to everyone who ordered the AvatarMeet T-shirts. A total of 35 T-shirts have been ordered and are being printed as we speak. These will be brought to the meet-up courtesy of Fiyerwall, where attendees will be able to to pick them up. For anyone not attending who ordered shirts, they will be forwarded on by Sarah post-meet-up.